Taekwondo master Dafydd Sanders practicing eka pada swastikasana. Four Winds Yoga teacher Kama Brown practicing supported vasistasana. Four Winds Yoga youngest member Oli Lees practicing supported Virabhadrasana 3. 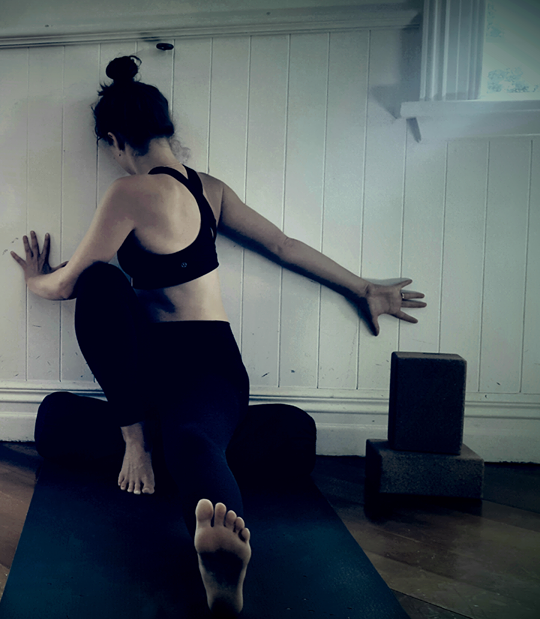 Four Winds Yoga teacher Francesca Hopkins practicing preliminary pinch mayurasana using Yoga Arts NZ cork yoga blocks and elastic yoga strap. 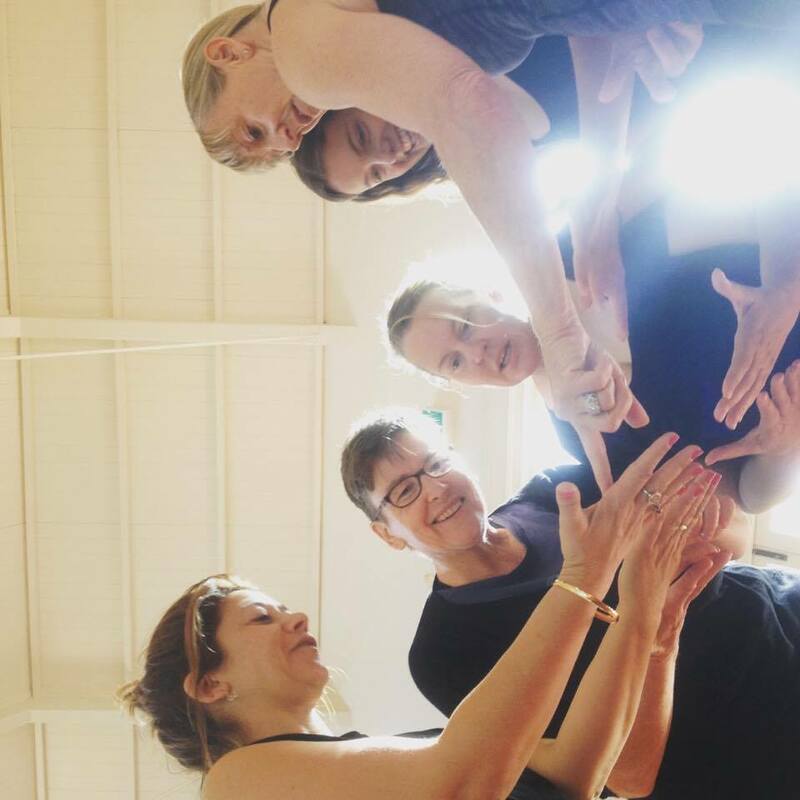 Tamar Munch, Ella James, Deb Mann, Francesca Hopkins and Wendy Norwood comparing hand lines! Four Winds Yoga student, Larmesa practicing Bakasana. Four Winds Yoga is an Iyengar Yoga school based in the Ponsonby Community Centre, Auckland. Suzi started Ponsonby Yoga in 1996 with two classes, a few mats and lots of enthusiasm. A name change in 1997 and Four Winds Yoga was established. Today, it is one of the most popular Iyengar Yoga schools in Auckland. Four Winds Yoga offers a full range of classes from beginner's yoga to general level. 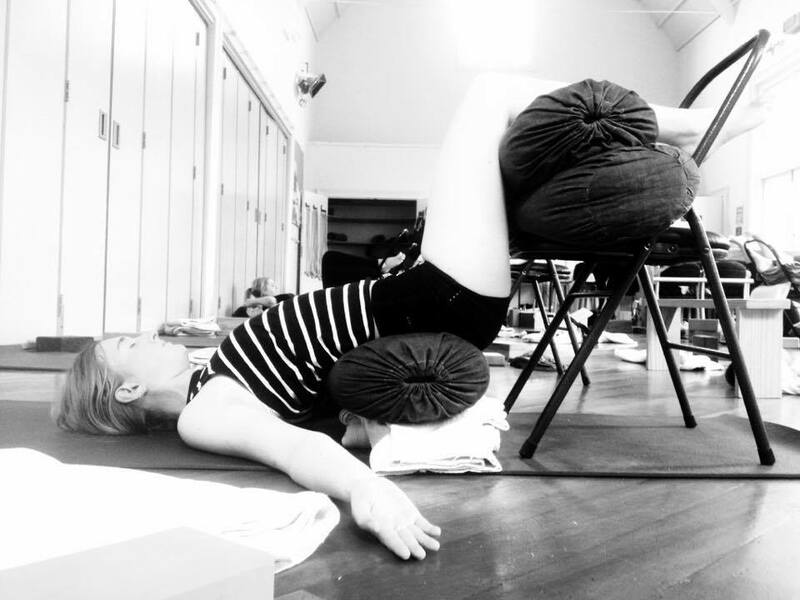 Suzi also specialises in pregnancy yoga, post-pregnancy yoga and remedial yoga. Four Winds Yoga is also well known for its yoga teacher training course in the Iyengar Yoga method. 20 Ponsonby Tce, Ponsonby, AUCKLAND, NZ. Four Winds Yoga is fully equipped with YOGA ARTS NZ yoga props. NZ made yoga equipment. 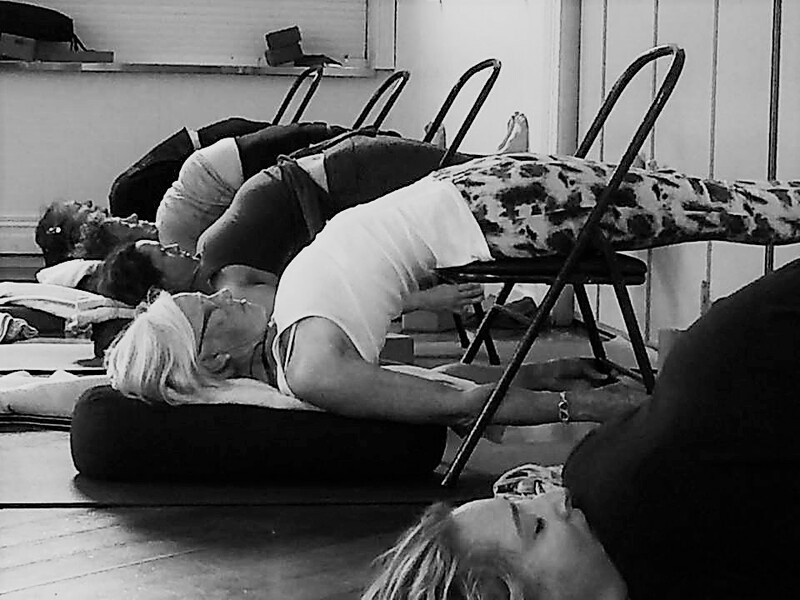 How to drop back on a YOGA ARTS NZ yoga bench.